I had heard great things about LBC from a bunch of people, so figured it was about time I head over and see what all the noise is about. It wasn’t particularly busy when we arrived, but I was glad for the space. They had plenty of beer in the fridge – it was Christmas when we went, hence the Merry Christmas you can see. And they had a good selection of ‘sides’, too. The TaiHu IPA is a great beer, and the others sound good, too. But, I wasn’t in a beer mood, sorry to disappoint. Honestly, it doesn’t look cheap. I was quite taken aback by the prices. I mean, honestly, it is just a sandwich. Hence I was hopeful that it would be top notch. $175 for 1/2 the bomber + $100 for the set of drink and side. The cranberry sauce made it a little too sweet, but I do enjoy me some roasted pumpkin. So the 1/2 sandwich just comes as half a sandwich. I don’t know what I was expecting, really. Maybe a little side salad, too? Honestly, it was delicious. Really, a top notch sandwich. But $175 for half? No way. That equates to like almost $6USD/£4.30. That’s some high prices right there! Clearly the ingredients are responsibly sourced, and thought through, with the meat coming from the amazing Sedors Farm. Of mexican origin, Carnitas is traditionally a slow cooked pork done in an oil/fat. It’s the first time I had it, and I loved it! It was spicy, it was cheesy, it had a bit of lettuce on top, and the bread was delicious! That’s the side profile I dream of. Meat + cheese + bread. 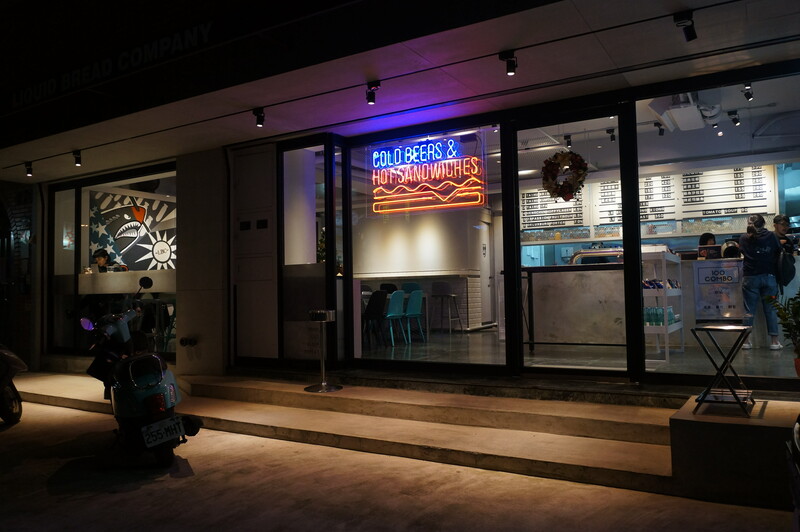 I think LBC really hit the nail on the head with opening up a sandwich bar in Taipei, and just off GuangFu South Road at the bottom of YanJi street, the location is also solid. But, I do feel somewhat put off by the prices. I asked a few of my western friends, and a few of my Taiwanese friends, and we all sort of said around $80 for half a sandwich is what we would imagine paying, with around $150-$200 for the full sandwich. I mean, yes, I get it, the idea is to responsibly source local ingredients and put them together in a stylish way, but it’s just flat out too expensive.